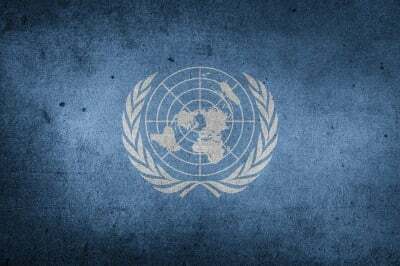 The fact that the sightings of the new military movements carrying construction equipment are taking place at the same time that U.N. vehicles are being sighted in the same vicinity have many wondering whether or not the U.S. military is working with the U.N. in setting up some type of field base. Others, however, are taking a more relaxed view pointing to the regularity of military convoys and the need to transport new U.N. vehicles in some way or other. At this point, we must be clear that all we have is speculation regarding the sightings and that the purpose of this article is only to report the sightings and the theories being put forward by commenters and commentators. If you have any other information regarding the mysterious troop movements seen in the South and Midwest or the U.N. vehicles and their destinations or purpose, please feel free to post in the comments below.